It was a rainy weekend and therefore great for baking yummy treats for this week! If you read my blog regularly you know I love baking with Chobani and using the yummy recipes from Chobani Kitchen. However, I mostly bake spontaneously and never have all the ingredients on hand needed so I tweak them to fit what I have at home. 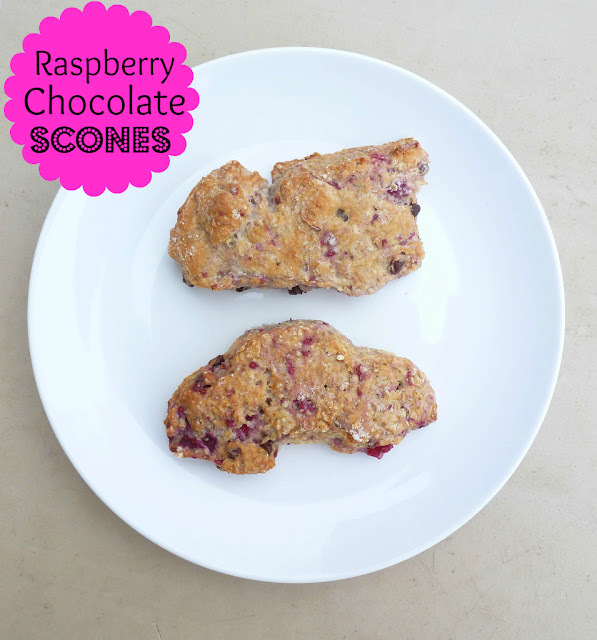 This time we made Raspberry Lemon Scones with mini chocolate chips based on the Strawberry Scone Recipe! Find the recipe at the end of my post..
My kids love to help and my 5 year old son wanted to make the scones into fun shapes instead of just triangles. I did not mind so he picked a car and a firetruck cookie cutter and helped cut them out. We had so much fun together in the kitchen! ...I also made some round ones to use in our lunches this week! They smelled so good baking we could not wait to try them! How amazing do these look! And they taste delicious! I had a hard time saving some for this weeks lunches. I think I have to bake some more! Preheat oven to 425°F (Gas Mark 7). In a large bowl whisk together flour, ¼ cup sugar, baking powder, baking soda and salt. Add butter and using a pastry cutter or your fingers, cut butter into flour mixture until it resembles coarse cornmeal. Stir in raspberries and mini chocolate chips, then gently incorporate Chobani, taking care not to over mix. Turn dough onto a heavily floured work surface. Fold dough on top of itself to knead, 3 to 4 turns, then pat into 1½-in thick rectangle. Fold rectangle into thirds and shape into a 1-in thick circle. Cut into 8 wedges or use cookie cutters to shape your dough instead. Arrange wedges/shapes on parchment paper-lined baking sheet and sprinkle tops of scones with remaining 2 T sugar. Bake until golden brown, 12 to 15 minutes. Cool on a wire rack before serving. Happy Baking and a good Start into your week! I'm so hungry now! I love how you take the time to bake with your littles even though I know how busy you must be! 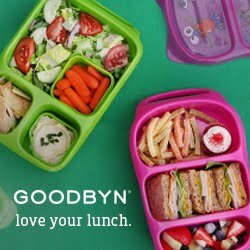 Your creative lunches are always so fun to look at and read about! Which is why I’ve awarded you the One Lovely Blog & Very Inspiring Blogger Award! You can find out all about it by clicking here You’re under no obligation to accept it, I just wanted to recognize you :) Thanks for blogging so awesomely! Thank you, Cristi! That is so cool! These scones are amazing and super cute!!! Thank you so much for sharing on Trick or Treat Tuesday!!! YUMMY!!!!!!!!!! I love the use of cookie cutters!! Any other flavored yogurt would work as well! Thanks for stopping by!